Dornenreich has always struck me as an act which puts such a tremendous amount of effort into its songwriting that I feel a few pangs of guilt that they've never left more of an impression with me. Despite immersing myself into a number of their past works, including 2011's Flammentriebe (one of their best), I simply don't find much of an allure to reach back once the initial listening period has passed. That said, I do not in general maintain an obsessive desire for such polished, folksy pastures upon which these Austrians graze. My preference was always for the dingier, more obscure sojourns of a Falkenbach or the Middle Earth majesties of the legendary Summoning, both of whom fill a comparable niche, while sounding very little like this band. At the end of the day, though, there is a massive audience for what Dornenreich commit to their albums, and Freiheit should continue to make new fans out of listeners within and without the folk metal genre, a nearly perfect 'period piece' band whose adherence to glinting traditional instrumentation should make the the toast of many faires and the emerging cultural awareness of younger European generations who were seemingly lost for decades. This is more of a folk album than a metal album, to be sure, but not the sort of navel-gazing predictable stuff you'll find at a local coffeehouse open mic. They keep their writing engaging, narrative, weaving varied emotions through the rugged/smooth paradigm shifts of vocalist Eviga (Jochen Stock), who often seems just as much on the attack as he would during a more metallic shift in the band. 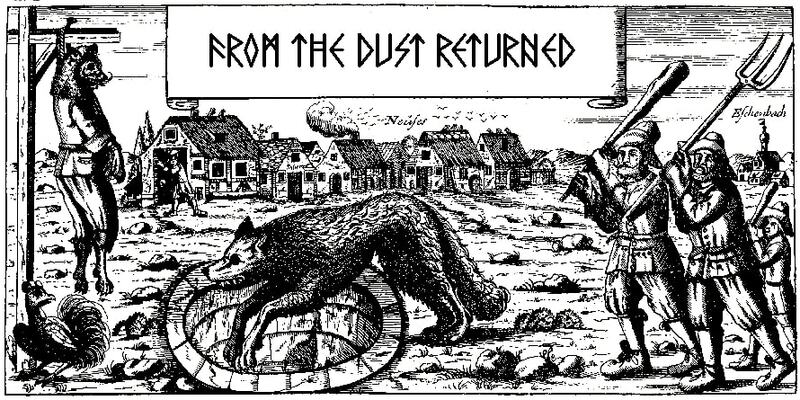 Speaking of which, those only start to erupt around the mid point of the album's eight tracks, and usually just involve heavy chords to back up the violins and acoustic guitars, but Freiheit is so confident and invested in this neofolk side that you can honestly listen through without any expectations of metal content and not feel as if you're missing out. Bass lines are timid, drums as crystal and impacting as the more eloquent strings, and the production of this just sounds absolutely incredible at almost any volume. So accessible and involved are these guys that you have to wonder why they aren't booked for every Medieval/folk festival on the Eurasian continent, because they surpass most strictly folk/classical string-based ensembles I've experienced on record. But on the other hand, there is enough here for a rock fan to enjoy, what with the uptempo maneuvers and dreamy, ebullient melodies woven over the rambling rustic structures. The only points at which the disc veers away from the accessible are the more tortured, gut-fed black metal vocals which arrive in a cut like "Das Licht vertraut der Nacht", which might turn off a few old timers but really just contribute to Eviga's overall charisma through these tales. Lighter than air, but eternally tormented, it clearly reminds you of Dornenreich's more aggressive roots without selling short the atmosphere and mainstream viability cultivated elsewhere through the instrumentation. The Austrian German lyrics might throw up a language barrier for those beyond the band's borders, but I think ultimately that anyone seeking out such a folksy purity on a recording wouldn't find this much of a hindrance. Their practice of packaging the music with a very common naturalistic image continues here, and yet strangely doesn't grow old since it jives with the authenticity and tradition implicit in the musical aims. I do feel that I got more out of the last album Flammentriebe than I did here, but this is certainly another of those records which has me pining for a past on the European mainland that I am far too removed to have ever experienced. 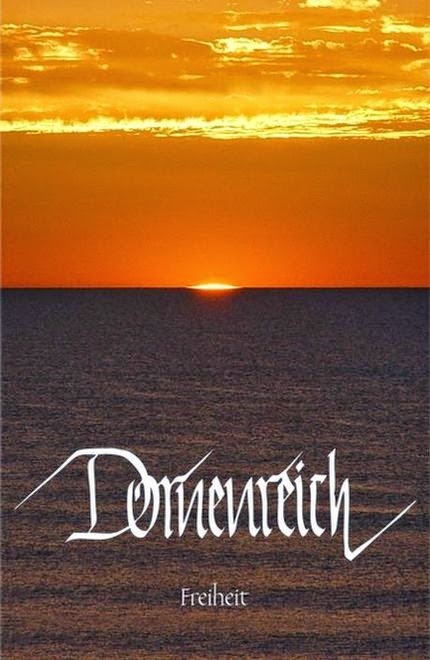 With the appropriate lager and company, this is a pretty substantial trip into time, as Dornenreich persist in their evolution from some folk metal guys into a cultural artifact.